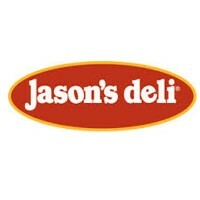 Jason’s Deli is a family owned and community focused restaurant. They are known to be one of the first restaurants to remove artificial trans-fats from their food. Some of their best foods are Chicken Club Salad, Zucchini Garden Pasta. Jason’s Deli restaurant was founded by Joe Tortorice Jr with his partners Rusty Coco, Pete Verde and Pat Broussard. The company started on November 30, 1976 in Beaumont, Texas. Jason’s Deli was able to receive awards from various organizations. One such award is the 2016 Highest Rated Chain – Menu Variety and Healthy/Nutritious Food. The benefits that the company gives to their employees include Health insurance, Dental insurance, Vision insurance, Life insurance, Performance bonus, Family Medical Leave, one week vacation every six months, Paid Time Off, Five-day work week(two consecutive days off), and 401k retirement plan (after 1 year employment). People like working in Jason’s Deli because of the free meal that they give to their employees. Also, they are friendly, always willing to help, and most of all they have a great management. How old do you have to be to work at Jason’s Deli? The minimum age requirement for starting positions is 16 years old. However, for the managerial positions, employees should be 21 years old and above. Jason’s Deli offers a lot of opportunities to people. Position varies per restaurant location. Cashier: A Cashier manages cash and sales transactions. They are responsible for collecting payments which may be in the form of cash, check, and credit card, among others, in exchange for the goods or service/s rendered. Promotion of services, improvement of customer satisfaction, answering of inquiries, reporting to the restaurant’s manager, and greeting the customers are also done by them. Team Members: Team Members are in charge in ensuring the customer satisfaction. They restock supplies, greet customers, answer inquiries, take food orders, maintain food service area clean, and prepare simple dishes. They also keep the manager intact with the progress and issues (if any) that may be present. Sandwich Maker: A Sandwich Maker is someone who prepares sandwiches. They portion food items, maintain stocks, take orders, and provide the customers with the relevant information and explanation about the menu items. They also ensure that the food safety standards are always being followed. Baker: A Baker is someone who makes cakes, pastries, and breads. They test new recipes, develop recipes, decorate cakes, and maintain the baking area clean. They check whether a product is expired or damaged. They also evaluate the quality of the food products. Prep Cook: A Prep Cook prepares the dishes that are served. They wash and chop vegetables, break down, cut, or grind meat, weigh and mix ingredients, and store food. Preparation of simple dishes such as salads can be made by them. Line Cook: A Line Cook is the one who finishes the preparation process that has been started by the prep cook. They work under a head chef and are usually assigned to a specific place (for example grill or stove). They also set and stock up the assigned location with the needed supplies. Restaurant assistant manager: A Restaurant Assistant Manager is someone who makes sure that the employees perform their assigned tasks. They see to it that the activities at the company run properly. They as well serve as a team leader by being a role model to their co-workers. General Restaurant Manager: A General Restaurant Manager is responsible in supervising the restaurant’s overall operations like firing or hiring an employee, purchasing food, supplies and equipment, and dealing with the suppliers. Paper works and inspections are also being performed by the restaurant manager. Catering Manager: A Catering Manager is someone who is responsible in leading the team of chefs and catering assistants for the day-to-day catering operations. They monitor the quality of the foods and services and also ensure the proper performance of their outlets. Delivery Truck Driver: A Delivery Truck Driver transport goods to where these are assigned. They pick up loads, organize goods, and ensure that these goods are secured properly. They as well obtain the signatures from the clients to confirm that the delivery has been completed already. Job seekers may apply online by visiting the official website of the company or by visiting job search sites. They can also go to the store location in person (there are certain locations where they can apply in person). The resume must be clean and clear. Include unique accomplishments that have been done in the previous jobs, career summary, personal business contacts, sales representatives dealt with, and educational background. These will improve the chances of the applicant’s resume receiving a closer look and contribute to the likelihood that they will go to the next stage — the interview. Before the interview, research something about the company. During the interview, expect to be asked to state your strengths and weaknesses. It would be a good idea to ask a few reasonable and smart questions. Avoid clichés and bring all necessary documents ahead of time. Optimistic personality and nice appearance do leave a positive impression. The company is known for their positive family focused culture. They practice respect and comradely among their employees. These are some of the reasons they were able to become successful in their business. The company has been reported to be one of the healthiest fast food restaurants. They were able to garner the 2nd place because of the organic foods and healthy sandwiches (with info) that they serve. The company has been known for being the first national restaurant to eliminate the artificial trans-fat. They are also known for serving organic and gluten- sensitive vegetarian items. The company provides social efforts by having Community Partnership programs like Student rewards, Fundraisers and Spirit Nights, Sponsorship and Donations, and as well as Cancer Foundation For Life. 1 How old do you have to be to work at Jason’s Deli?